■ This speaking class is focus on speaking instead of the grammar from textbooks. 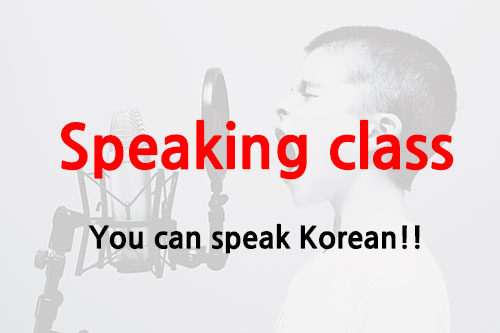 ■ You can practice the expressions and the prononciation that Korean people use in real life. ■ We recommand this class to students who want to practice only speaking. Practice to speak logically and fluently your thought, opinion, idea etc. We provide various materials such as news, dramas, movies, etc. After it begins – If you cancel a class within a week of the beginning of the class, you will receive a 50% refund. – If you cancel a class after a week of the beginning of the class, there is no refund.